Anyone can get into golf at any age! Some of the best golfers in the world started young, and there’s nothing to say that your kids can’t get into the swing of things too. Kids love golf – and there are a number of fantastic club sets built for children and teenagers to use which can help them build confidence on the links. Here is our pick of the best junior golf club sets available to buy online right now. Callaway’s sets come in a variety of sizes for new players. Six brilliant clubs are included, with forgiving technology to help build confidence. Your kids can take their own stand bag and rain hood to the links, too! 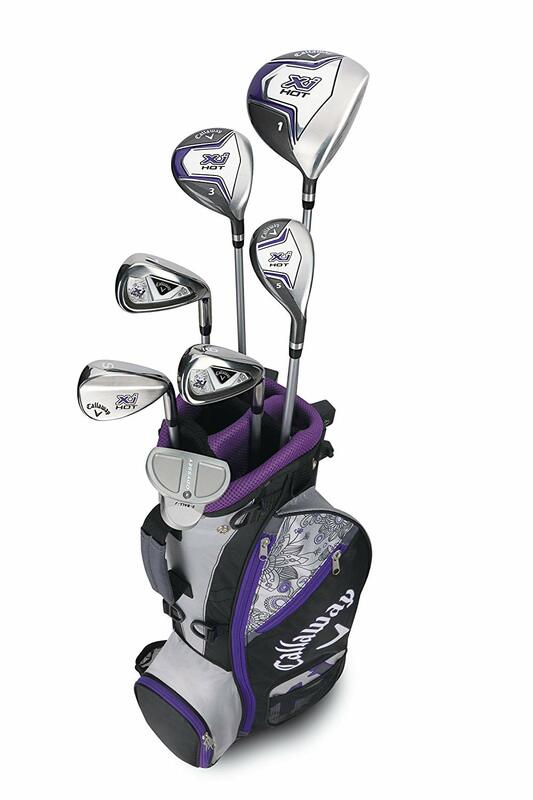 Similar to the above, this set of clubs are designed with female golfers in mind. Available at a great price with a lightweight driver and plenty of added stability, these clubs are ideal for any young girls hoping to get in a round or two. 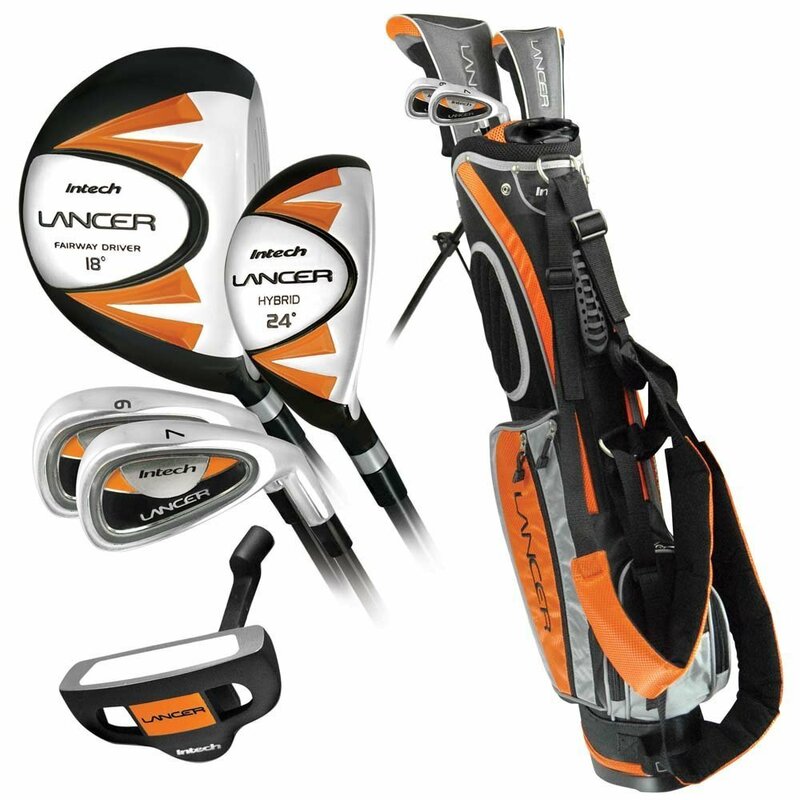 This junior golf club set is designed for boys aged 8-12. Therefore, while they are lightweight and forgiving, they feel like the next step up for young guys looking to move onto adult golfing. Hybrid technology clubs allow for evolving talent and gameplay. Confidence in name, confidence in nature? That’s the aim! Speaking of aim, this fantastic value junior set arrives with oversized drivers and putters with added loft for ease of play. 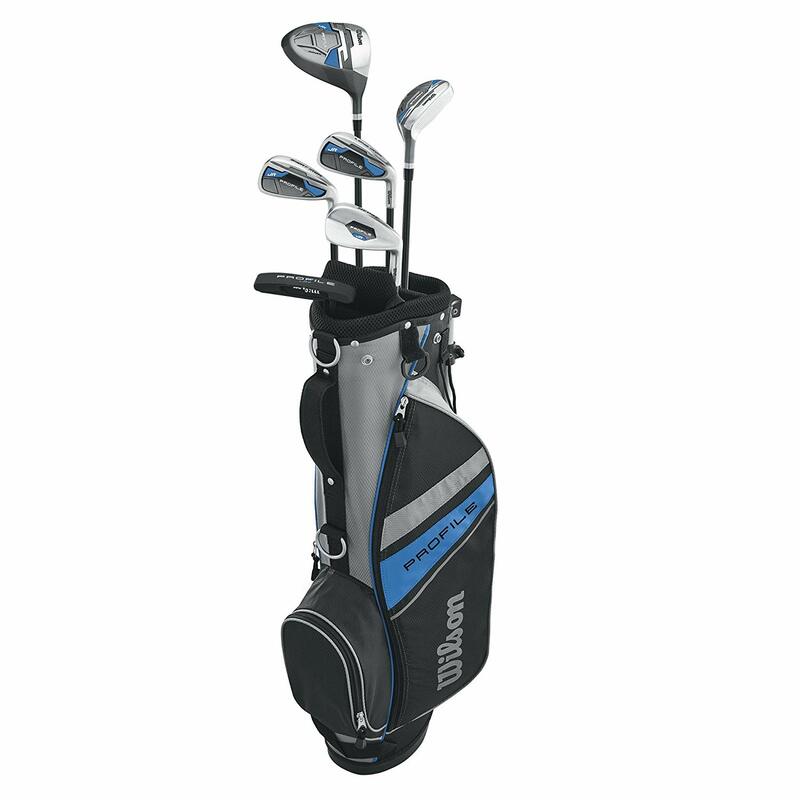 Comes with a superb stand bag with a whole host of pockets and compartments! You’re always going to trust a sports brand like Wilson. This well-priced golf set for kids is an Amazon Choice winner and includes nine fantastic pieces to help introduce youngsters to the game. That should be more than plenty for them to get started! This well-proved set of high-lofted clubs are super simple to use. A hybrid wood club provided is designed to offer that extra bit of power and give to any youngster’s game. Everything is also super-easy to carry in the backpack style bag supplied. Great name, great set. 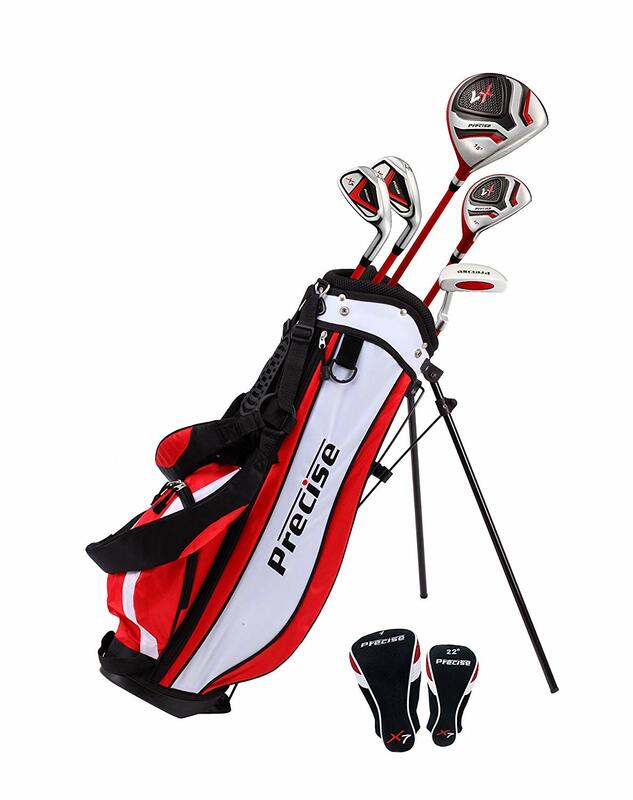 This junior golf club set arrives with lightweight wood and iron clubs, as well as a bag and headcover to take to the links. This model is built for very young golfers – so only a few clubs are provided! 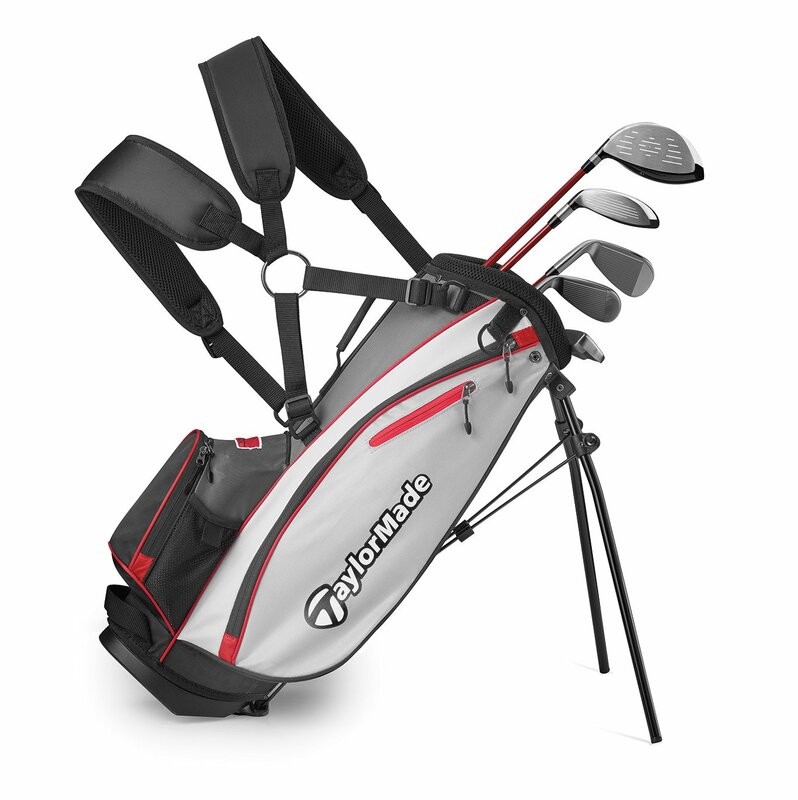 TaylorMade is a great brand, and they’ve brought their wares to the younger market. 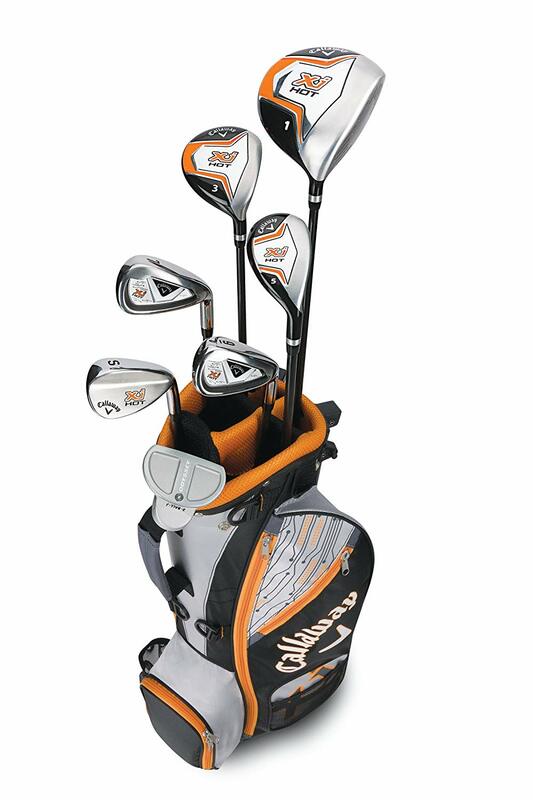 This six-piece set boasts graphite hybrid clubs for enhanced play and to forgive mistakes easily. All-around performance, according to TaylorMade, is guaranteed. 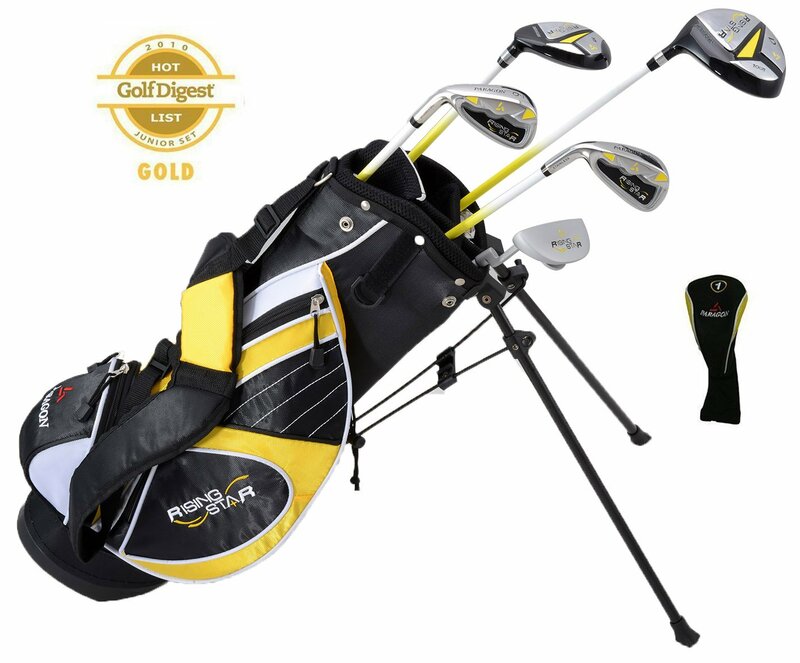 Ideal for golfers aged between 8 and 12, this set is well-received. There are an impressive ten pieces crammed into the bag. There are graphite shafts in the course clubs for added control and a steel shaft built into the putter. 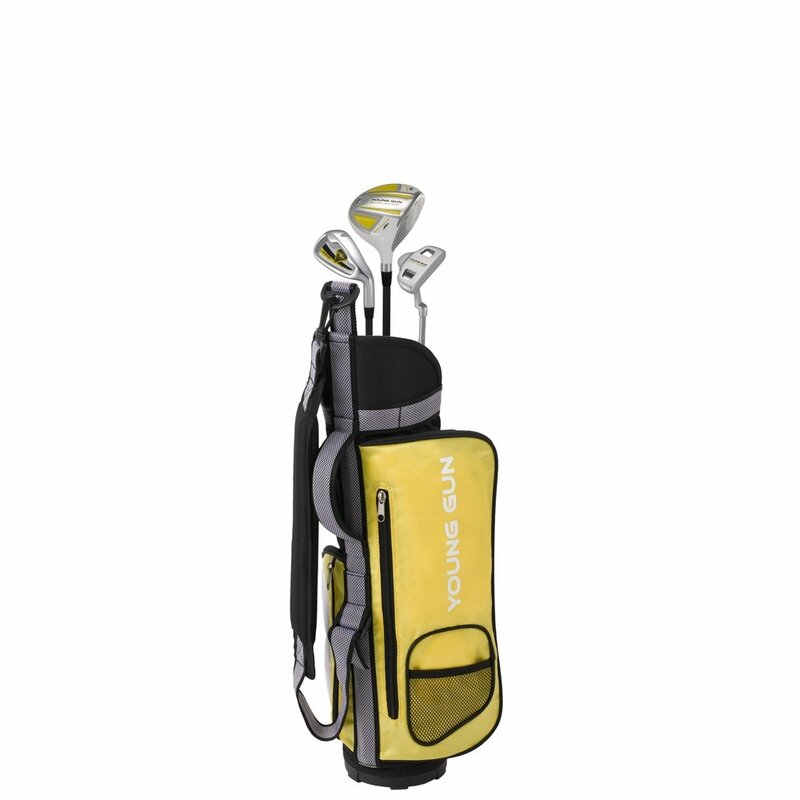 This five-club set comes complete with a hybrid, two irons and a mallet putter – a great first selection. 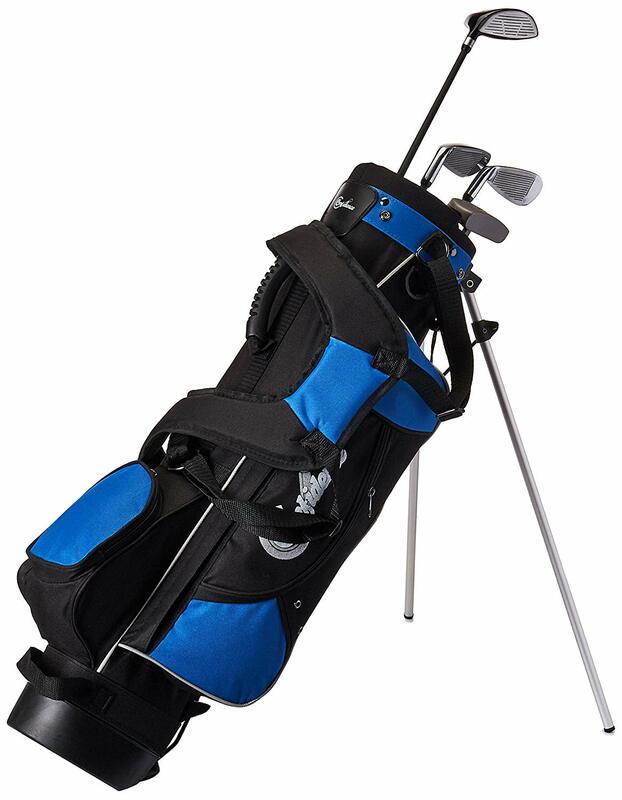 The clubs are provided with a solid, durable bag and stand for easy transport across the holes. What more could you need? If your kids love the idea of joining you on the links, get them started early! 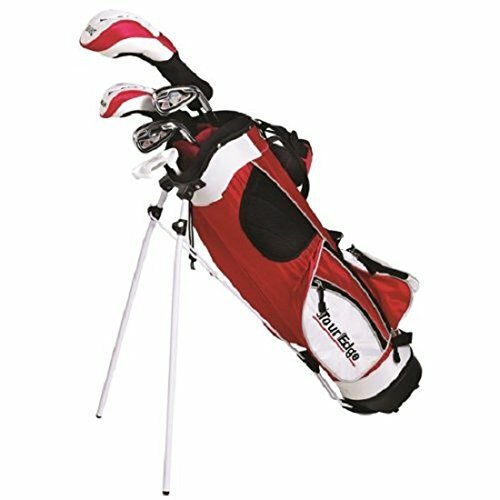 These great junior golf club sets are fantastic at helping boys and girls find their swing on the course. You’ll need to look for lightweight clubs, sturdy bags and a variety of irons and woods. Look for hybrid technology, too. Why not take a look at some of the brilliant sets we’ve listed and reviewed for you in the guide above?